I am loving the look of white pumpkins this year! 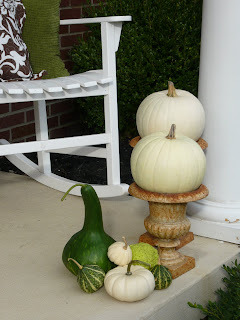 Today I want to share 12 ideas to decorate this fall season with white pumpkins. Paint your own white pumpkin on canvas and hang it on your wall like Emily over at Jones Design Company did! How are you using pumpkins in your fall décor this year? i love the white and aqua pumpkins! I agree. White pumpkins are so whimsical. That's a great way to put it. I need to get hands on some now. Hoe you have a great weekend! Beautiful, and they will match anything! Very pretty! I love the neutrals in many of those pics! I love white pumpkins! They're classy, and so easy to fit into any design. 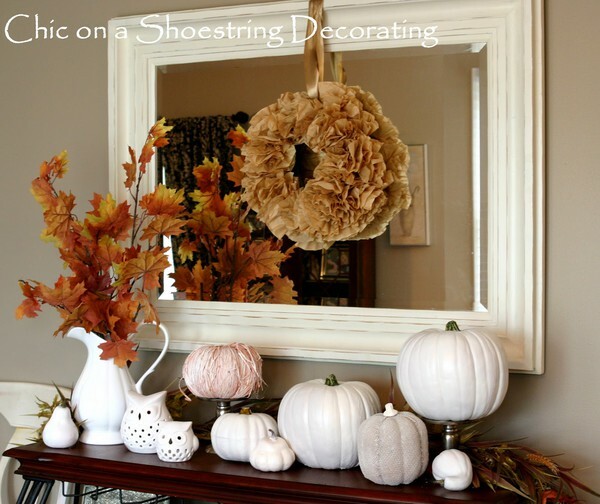 The mod podge pumpkin with leaves is also a great idea. We're definitely using pumpkins in our decor this year - both at home and in the show room! I had never liked white pumpkins before NOW! They seemed so sickly;), but I really like them with muted tones, wheat sheaf etc. Thanks! administrator doakan yg paling baik. Salam judi online, Terima kasih. Sebanyak profit Dalam Judi Online Sakong Terpercaya & paling baik Asia!! !